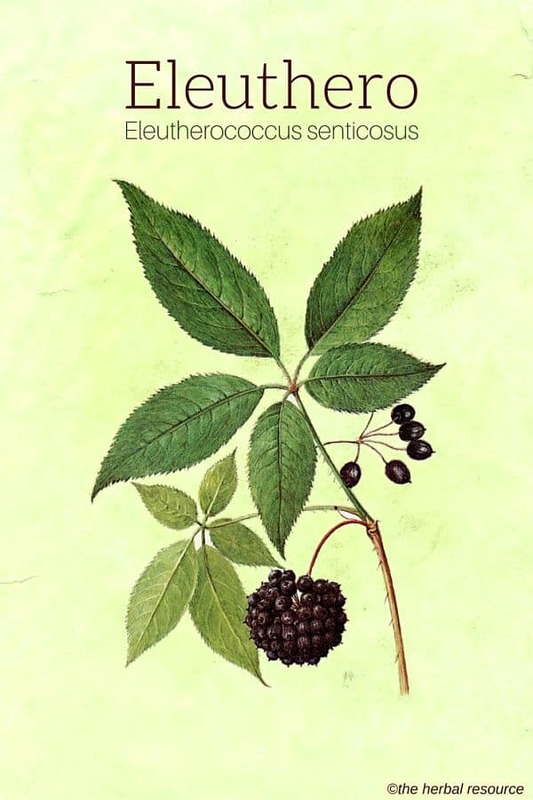 Scientific Name of Eleuthero: Eleutherococcus senticosus (also known as Acanthopanax senticosus). Common Names: Siberian Ginseng, Russian ginseng, chi wu cha, ciwujia, thorny Russian pepperbush, thorny ginseng, touch-me-not. Distribution and Habitat: Around the world, ginseng is one of the most popular herbal supplements and is widely used in folk and traditional medicines. Eleuthero or Siberian ginseng is in essence not a true ginseng despite the name and it is different from American ginseng and panax ginseng that comes from China, Korea and Japan. 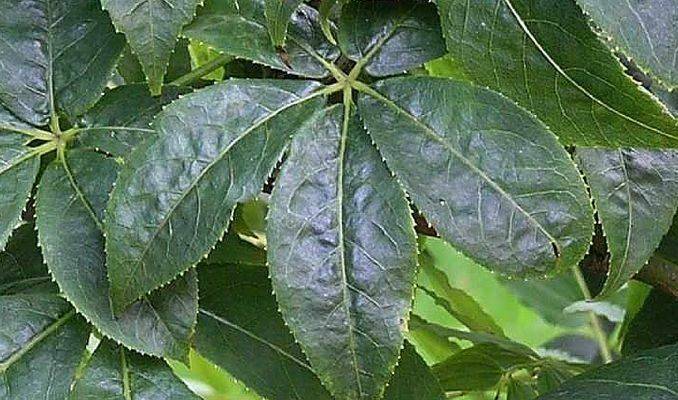 Eleuthero has been used for thousands of years in a tonic form for its powerful antioxidant capabilities. The main active chemical compounds in Siberian ginseng called eleutherosides, are what makes it so different from the other forms of ginseng. It is found as a native plant in the forests of Siberia, southeastern Russia, northern China, Japan, and Korea. In Siberia, it is a popular medicine and is used from the Amur to Sakhalin Island. It was used in ancient China 2000 years ago where it was referred to as ciwujia. 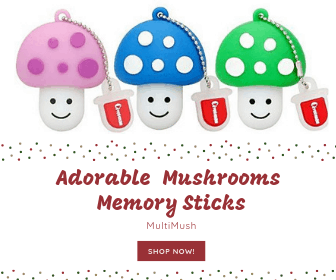 It has been used for its medicinal properties in far eastern countries for centuries. 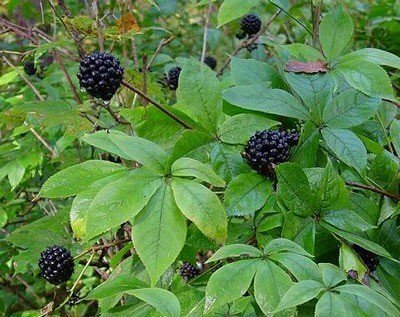 Up until quite recently most of the research of this plant was done in Russia as they were searching for a cheaper alternative to the expensive Asian panax ginseng. In the late 1950’s, Russian researchers formally recognized Siberian ginseng as a medicinal plant. They had investigated the roots effect on colds and flu, herpes, mental and physical performance, and overall quality of life. Plant Description: This plant is a thorny shrub which can grow to 3-10 feet high, with wide green serrated leaves. It has yellow or violet-colored flowers that grow in groups of umbrella-shaped clusters and has bunches of small round dark fruit. The root is light brown, quite woody and twisted. Plant Parts Used: Traditionally the leaf of this plant was used as a poultice, a compress and as an anti-inflammatory remedy. The eleuthero supplements are mostly made from the dried roots and rhizomes of the plant. It is the active components eleutherosides found in the root that is believed to have the main health benefits. Other chemicals found in the root are called polysaccharides, which during animal trials have shown to lower blood sugar levels and boost immune function. In Russia, eleuthero was widely used as an adaptogen, which is a substance taken to help alleviate either physical or mental stress, or provides the ability to adapt to otherwise adverse external conditions. It was also used to boost physical performance and as an alternative treatment to reduce infections. Cosmonauts in Russia used it as a training aid during rigorous exercise, and athletes in the Olympics used it to help maximize their physical potential. In ancient China, it was used traditionally to increase vitality, as a preventative for respiratory tract infections and for colds and flu. 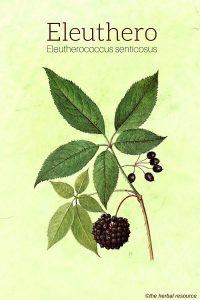 The eleutherosides contained in Siberian ginseng, those which are not found in other forms of true ginseng, are thought to stimulate the immune system. Some clinical studies on its benefits suggest it can be used to treat infections and help to keep fatigue at bay. Also, when Eleutherococcus senticosus is combined with Andrographis paniculata, it forms an herbal product known as Kan Jang. Together they are effective in fighting the severity and duration of influenza. It is also suggested that as an independent herbal remedy, it is perhaps more effective than conventional antiviral medications. Eleuthero has also been seen to stimulate metabolism, having the ability to significantly increase the utilization and mobilization of fatty acids and carbohydrates. It is therefore considered an ergogenic aid, maximizing high-intensity physical exercise. Regular use of the herb has been shown to aid physical performance in several ways, such as improve heart rate recovery, ability to remove lactate and the faster energy extraction from fatty acids, via aerobic metabolism. Again it is the eleutherosides present in the root that are thought to be responsible for these benefits. A study by Kuo, in 2010, of physically fit males, over an eight week period, indicated that eleuthero supplement significantly enhanced their endurance times when exercising. It was able to elevate their cardiovascular function, increase free fatty acid and glucose metabolism. Due to its effect on glucose, and insulin metabolism, eleuthero has been shown to have a significant effect on weight decrease in a study of mice, as well as a reduction in plasmatic cholesterol. At least 6 secondary compounds found in eleuthero have been shown to demonstrate some health benefits. Those compounds are sirigina, caffeic acid, ethyl aldehyde, and coniferyl aldehyde. While some play antioxidant roles in cancer prevention, others reduce cholesterol, stimulate the immune system, increase the livers output of bile, play a role in cholesterol re-synthesis, affect cholesterol structure, have anti-inflammatory properties and can be used as remedies for reducing fevers. While this is now quite dated study, Williams in 1995, looked at the effect of taking eleuthero by subjects with herpes, simplex virus type 2, which can lead to genital herpes. 93 people were observed during the study and it was found that Siberian ginseng was able to reduce the number of outbreaks, and also help lessen their severity and duration. It is best to speak to an experienced health care practitioner to find a dose of eleuthero extract suitable for each individual. The guidelines from the Handbook of Medicinal Herbs, suggests 250-500 mg of the herb, 1 or 2 times a day, however dosages of the root vary from 0.6g to 27g of the root per day. There are also various measures of the tincture per day, ranging from 1 to 16 ml of the root extract. It is probably best to seek the advice of a health care practitioner for a recommended daily dose. If people stay within these recommendations then it should do no harm. If individuals are using eleuthero for chronic conditions, such as fatigue or stress, it should only be taken for 3 months at a time, followed by a 3-4 week break. Eleuthero supplements are available in many forms, such as liquid extracts, solid extracts, powders, capsules, and tablets, and as dried or cut root for tea. It may also be combined with other herbal extracts and other supplements. It is not recommended that eleuthero is used by children. People with diabetes should monitor blood glucose concentrations when using this herb, due to its hypoglycemic effects reported in animal studies. Eleuthero may act like estrogen in the body, which means that women with a history of cancer that is estrogen sensitive, or uterine fibroids should consult their doctor before use. Care should be taken when using herbal medicines because despite being wholly natural, they still can trigger interactions with other herbs, supplements or medications. Always buy eleuthero supplements from reputable manufacturers as some products vary greatly in the ingredient, some have been found not to contain it at all, and other have contaminants not marked on the label. Pharmacopoeia of the People’s Republic of China. Vol. I (English ed.). Beijing, Chemical Industry Press, 1997. Farnsworth, N. R. NAPRALERT database. Chicago, University of Illinois at Chicago, IL. Feb 1998. (An online database available directly through the University of Illinois at Chicago or through the Scientific and Technical Network [STN] of Chemical Abstracts Services). Prance, G. The Cultural History of Plants. New York. Routledge. 2005. Zykov, M.P. & Protasova, S.F. “Prospects of immunostimulating vaccination against influenza including the use of Eleutherococcus and other preparations of plants,” in New Data on Eleutherococcus and Other Adaptogens. Moscow: Proceedings of the Second International Symposium on Eleutherococcus. 1984. Rhie, S.G. & Won, H.R. Effect of hot water soluble extract from Eleutherococcus senticosus and dietary carnitine on the lipid metabolism and antioxidant defence system of rats on hypercholesterol diet. The Korean Journal of Community Living Science, 2004. 15: 105-113. Duke, James. A. Handbook of medicinal herbs. Florida, US. CRC Press. 2002. Donovan, J.L., Devane, C.L., Chavin, K.D., Taylor, R.M. & Markowitz, J.S. Siberian ginseng (Eleutherococcus senticosus) effects on CYP2D6 and CYP3A4 activity in normal volunteers. Drug Metabolism and Disposition, 2003. 31:519-522.